This is Delicious, with a capital D! I got this recipe from a blog that I follow. I have been in the mood for mushrooms lately and couldn’t wait to try this. It was so good, I will definitely make it again. I needed more mushrooms, will use two packages next time, or a smaller loaf. Basically you take a french bread loaf, cut in half length wise. You can make garlic toast out of it at this point if you wish, or not either will work and is good. I didn’t make the garlic toast this time, but I think next time I will. Make a simple béchamel sauce smear on the bread with the mushroom which have been sautéed in a few ingredients top with cheese and bake for a few minutes. Check out the Jam Hands blog, link above, for the complete recipe. 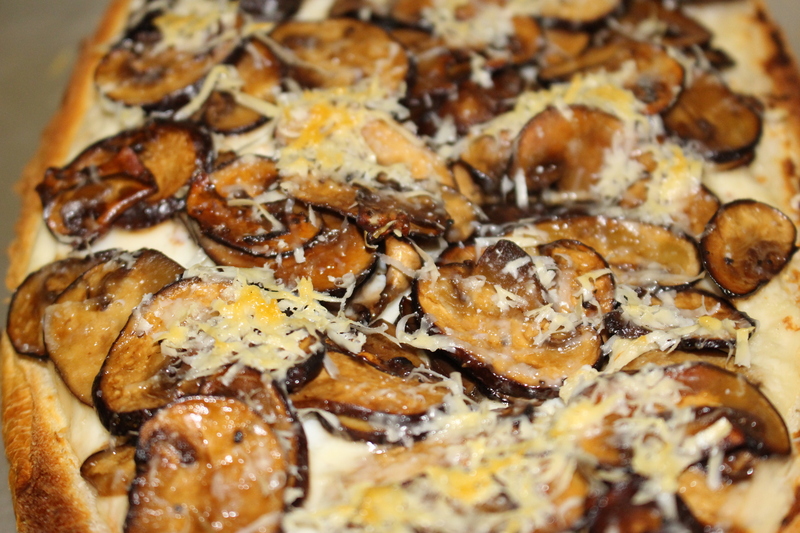 This entry was posted in cooking and tagged Bechamel Sauce, cheese, French Bread, Mushrooms, parmesan cheese. I think wordpress ate my last comment 😦 Anyways, the mushroom pizza looks great 😀 Thanks so much for the shout out. 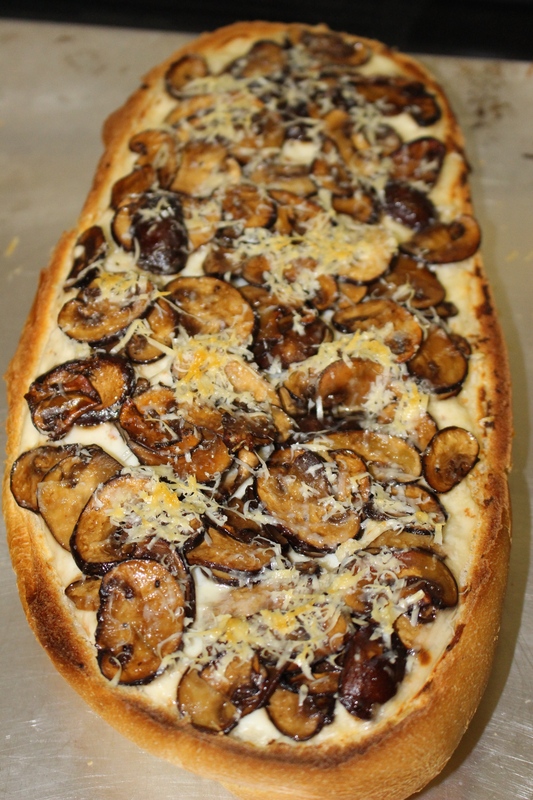 Oh yum, your mushroom pizza bread looks great.